The Northern Hemisphere is slowly revolving into Spring, and with the change in the season visions of summer vacations come to mind. This year you might want to visit a few of the top skydiving locations from this list of the most beautiful DZ’s around the world. Only 20 minutes from Seattle, the Travel Channel listed Skydive Snohomish as one of the nine best places to skydive in the world. In summer the 360 degree views from the mountains to the sea feature Mt. Rainier and Mt. Baker in the Cascades Mountain Range and the green San Juan Islands. Located within range of Australia’s Gold Coast and Sunshine Coast, Skydive Ramblers has something for everyone including a landing area filled with kangaroos! They cater to families with on-site accommodations, a pool, bar, and other great amenities. Children as young as 12 can skydive with parental permission in Australia. An added bonus is the beautiful year-round weather. In a country where every vista will leave you speechless, there is a reason NZONE won the Supreme New Zealand Tourism award. This skydive located in Queenstown, NZ is a mecca of extreme sports. The DZ is designed to deliver outstanding jumps with the best views of the stunning landscape of South Island, New Zealand. Forget that sedate train tour to view the Fall colors. Located just 70 miles west of Boston, in Orange, MA this is one of the top skydiving locations in the US to experience the glory of Autumn! The view from under the canopy will forever change your perspective on the incredible show that Mother Nature provides during a change of seasons. This is the skydive destination to make that rare city jump, flying over the Palm Jumeirah, the artificial archipelago made of reclaimed land jutting out from the city’s urban marina. 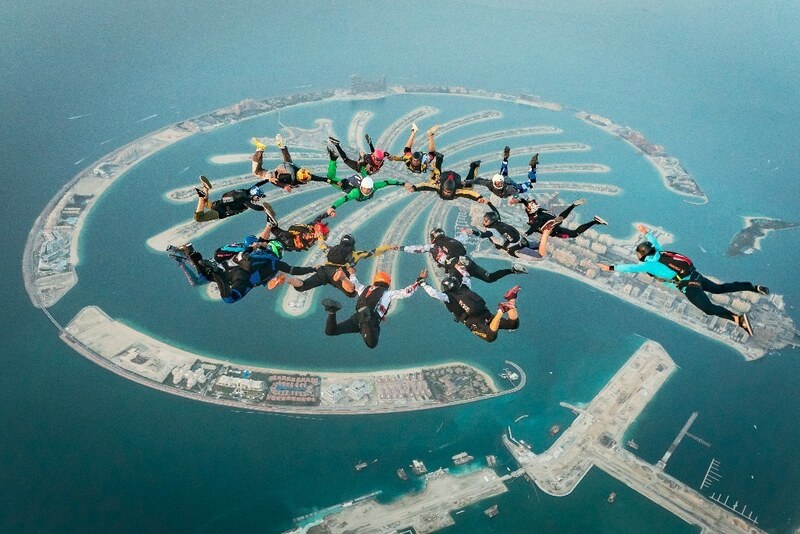 This skydive has a view of the Persian Gulf and the whole of Dubai. At Skydive Voss you get to experience the magic combination of spectacular nature and the “Vossa spirit” – an open and inclusive vibe at the drop zone. Norway in Summer is a vibrant and active season. Skydive Voss has terrific accommodations and even a Wind Tunnel on site! Located in the coastal town of Alvor, in Southern Portugal, Skydive Algarve offers 365 days a year of sunny weather. Beach jumps, sunshine, high altitudes, incredible foods, and great wine. What more could you want in a skydive vacation location? This DZ offers a scenic flight over the Mossel Bay area with an incredible view of the Indian Ocean, Outeniqua mountains and beautiful beaches. There are two landing areas, one at the airfield and one at Diaz beach. Landings at Diaz beach depend on weather and tide conditions. This Perth, Australia location has a reputation for being the “World’s Most Beautiful Beach Skydive” for a reason. The entire skydive offers fantastic views of the Turquoise Coast, and Perth has much to offer to visitors once you are back on the ground. Keeping it closer to home here are some of the best places to skydive in the US. These DZ’s offer diverse choices for your Summer vacation plans. 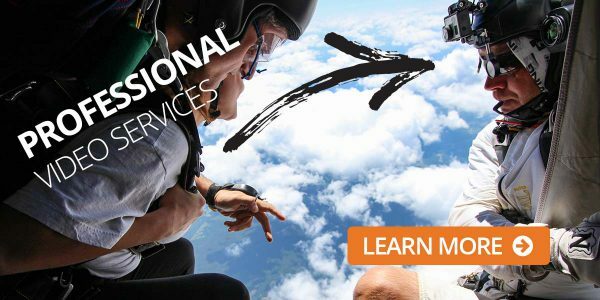 Known for tandem skydiving in Virginia, Maryland, and the Washington D.C. area, Skydive Orange provides world-class tandem skydiving, training, and sport skydiving to guests from all over the East Coast. With beautiful scenery both above and around the DZ, the area also offers historic homes, wineries, and other outdoor activities. 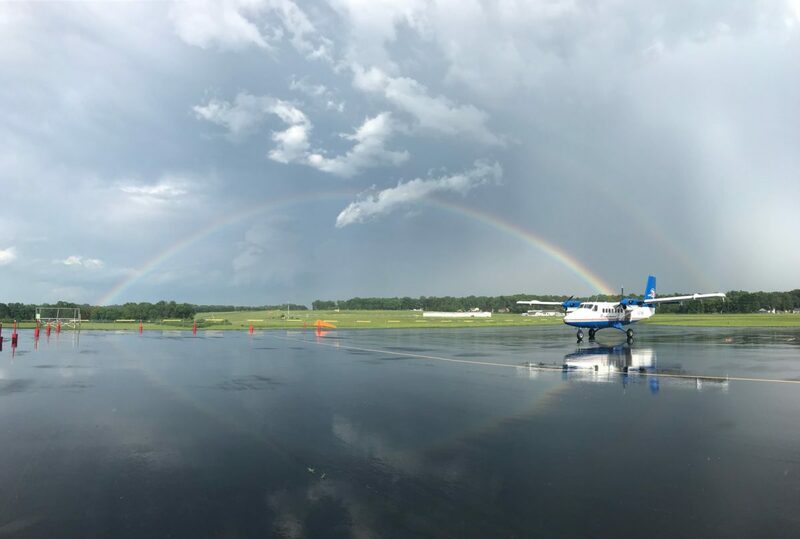 Located just across the North Carolina state line in Chester, SC, this beautiful location is home to the nation’s’ largest skydiving event, CarolinaFest. This full-service drop zone serves the Charlotte, Columbia, Greenville, Spartanburg, and Asheville areas. Skydive Perris is one of only two skydiving centers in the world to have an indoor skydiving simulator on site and is located within easy reach of Los Angeles, Temecula, Murrieta, Canyon Lake, San Diego, and Riverside. They are especially well known for hosting several world record events. This location is known for sun and fun. The views of the surrounding desert landscape and full facilities make this a must visit dropzone. With a wind tunnel, pool, restaurant, and bar this is a perfect vacation adventure. 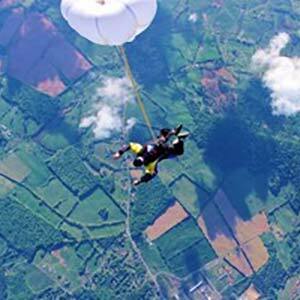 Skydive California is located near the Bay Area and San Francisco in northern California. They offer shuttle service from the Bay Area, and they are also one of the few DZ’s to allow leashed friendly dogs in their observation area. Serving the Madison, Wisconsin and Milwaukee area, this is an excellent location for jumpers of all levels. WSC is known for excellent hospitality, beautiful and clean facilities, and an awesome staff. Wisconsin is an outdoor adventure paradise known for the many lakes and rivers in the state. West of Chicago, this location is known as the world’s largest skydiving resort. The outstanding facilities include everything from a restaurant to a swimming pond to cabins and camping facilities. This really is the perfect skydiving vacation getaway. Located in Zephyrhills, Florida between Lakeland and Tampa this DZ serves all level of jumpers. They are known for their large facility catering to international jumpers along with their restaurant and bar. You might want to plan to visit some of the major skydiving equipment manufacturers too. Camping is free, and they also offer other accommodations. Located in Raeford, North Carolina near Fayetteville and a short drive from Raleigh, home of the Research Triangle of North Carolina. This full-service DZ even has a Wind Tunnel available just down the road so all your skydive adventures are covered. Located between Tulsa and Oklahoma City this location is rated the best place to skydive in Oklahoma. It is a convenient spot to take a skydiving break when driving cross country on I-40. Skydivers always comment on the newly remodeled facilities and the family-friendly atmosphere. Big Texas Hospitality convenient to Dallas and Fort Worth, Texas. This location is known for its private purpose-built airport and skydiving facility. Their state of the art climate controlled building is a welcome relief on those hot and humid summer days. With a full RV park and a bunkhouse, there are plenty of accommodations and amenities to make this a destination vacation spot. I had been wanting to do this for years and I am so glad I did it here. Everyone was so friendly, I had a great time and I can't wait to go back!